Home > Kroger Ad > all Coupon | Makes Powercore Pacs 21¢ ea. all Coupon | Makes Powercore Pacs 21¢ ea. Looking for a deal on laundry detergent? 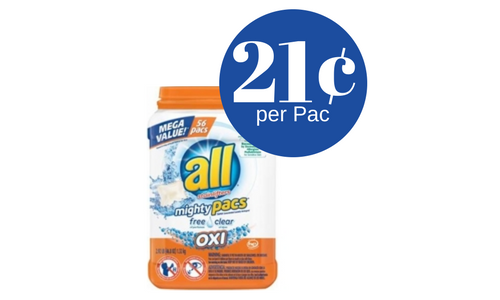 Head to Kroger and can score all Powercore Pacs for 21¢ per Pac when you use a new high value all coupon!